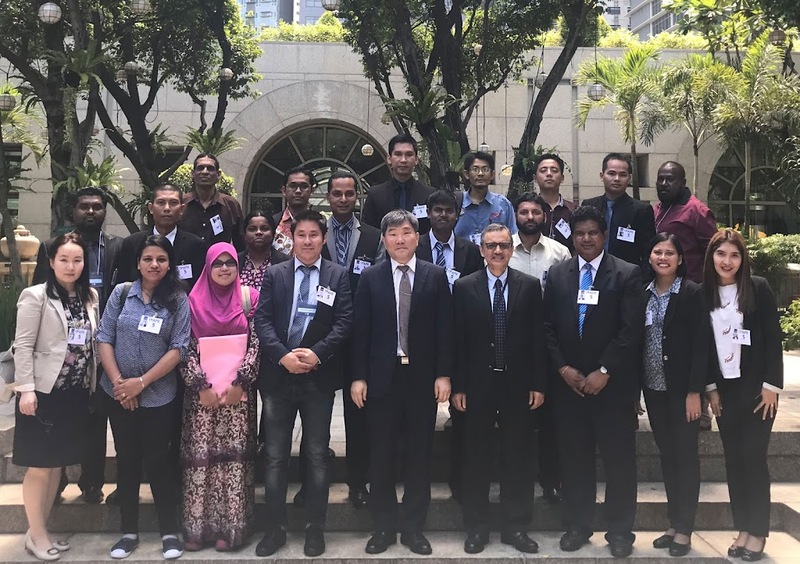 In a tangible demonstration of their productive and worthwhile partnership for the benefit of TVET practitioners in the Asia-Pacific region, the Colombo Plan Staff College and the Zhejiang Technical Institute of Economics (ZJTIE) jointly hold a Special International Program on Technopreneurship, E-Commerce and Pedagogy Concepts. The program is being held for five weeks in two phases: the first phase was held in CPSC’s headquarters in Manila from April 9 to 22, 2018 and the second phase will be conducted at ZJTIE’s campus in Hangzhou, China from April 22 to May 12, 2018. A total of 19 participants from Afghanistan, Bangladesh, Bhutan, Fiji, Indonesia, Malaysia, Maldives, Mongolia, Myanmar, Nepal, Pakistan, Papua New Guinea, Philippines, Singapore, Sri Lanka and Thailand are attending the program. Primarily aimed to impart understanding of technopreneurship and e-commerce and help them design plans to embed in the TVET system of their respective countries, the participants are expected to come up with Policy Actions Plans that will enable them to enhance the current role of TVET in developing a culture of Technopreneurship and e-Commerce. The program is being supervised by CPSC Director General, Dr. Ramhari Lamichhane and coordinated by Faculty Consultant, Dr. Chithral Ambawatte. In addition, the program’s academic resources were delivered by esteemed persons in the field of TVET instruction and e-commerce namely: Ms. Therese Tan-Lee (CPSC Faculty Specialist); Dr. Romulita Alto (CPSC Visiting Faculty Consultant); Mr. Ramon Manuel Nisperos (Business Strategist, Educator & Entrepreneur); Mr. Edrian Bautista (E-Commerce Specialist and Professional); Mr. Felix Sibal (CPSC ICT Officer) and Ms. Janette Toral (E-Commerce Advocate and Digital Influencer). 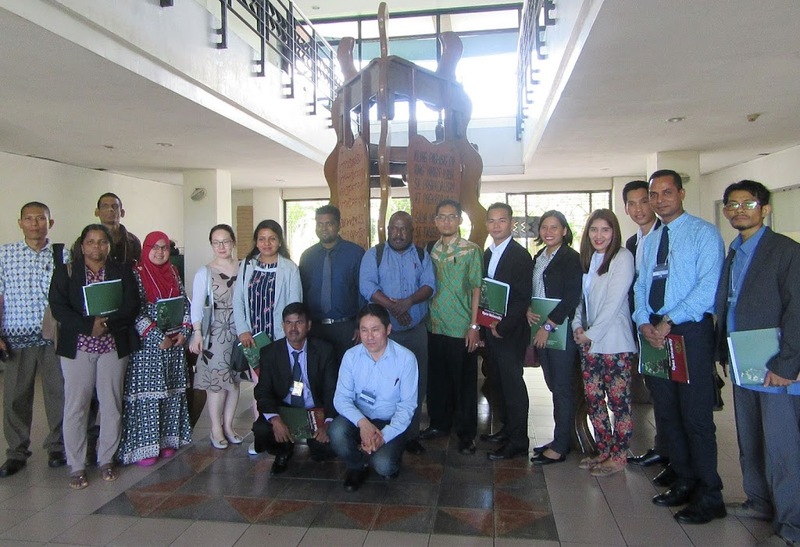 To add to their total exposure in the field of e-commerce and TVET delivery, study visits to notable institutions in the Philippines were arranged during their stay. They visited the University of the Philippines- Open University in Los Baños, Laguna; Asian Development Bank in Ortigas Center, Mandaluyong City and Zalora Philippines in Taguig City to know more about the technopreneurship strategies adopted by these institutions and companies. 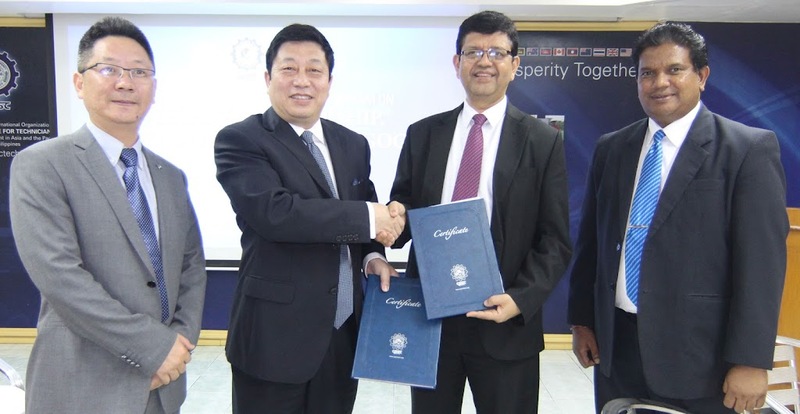 A formal Memorandum of Agreement (MoA) was signed by high officials from the Zhejiang Technical Institute of Economics (ZJTIE) and the Colombo Plan Staff College during the closing ceremony of the program on April 20, 2018. In attendance were Prof. Huang Chunlin, Vice President of ZJTIE and Mr. Tony Zheng, Project Director of the External Affairs Office and International Education Center, ZJTIE. They visited CPSC to formally oversee the progress of the participants and to provide a brief background of the next three weeks of the program. They also met with the Director General to discuss the possibility of making this event as an annual undertaking of CPSC. The memorandum of agreement strengthened the relationship of both institutions and formally laid out the details of the partnership, including the organization of similar programs in the coming years. In his speech at the closing ceremony, Dr. Ramhari Lamichhane mentioned that CPSC and ZJTIE had a productive partnership starting with a series of engagements shared by both institutions since 2016. He expressed his confidence on this strengthened partnership and hopes that the program will continually benefit all delegates of the CPSC member countries. In response, Dr. Huang Chunlin expressed his appreciation to CPSC for ensuring the smooth implementation of the program for two weeks. He presented an overview of the beautiful and historic city of Hangzhou and formally welcomed the participants in the second phase of the program. Visiting the country office of Zalora, an e-commerce brand focusing on apparel, at the Bonifacio Global City in Taguig, Philippines.